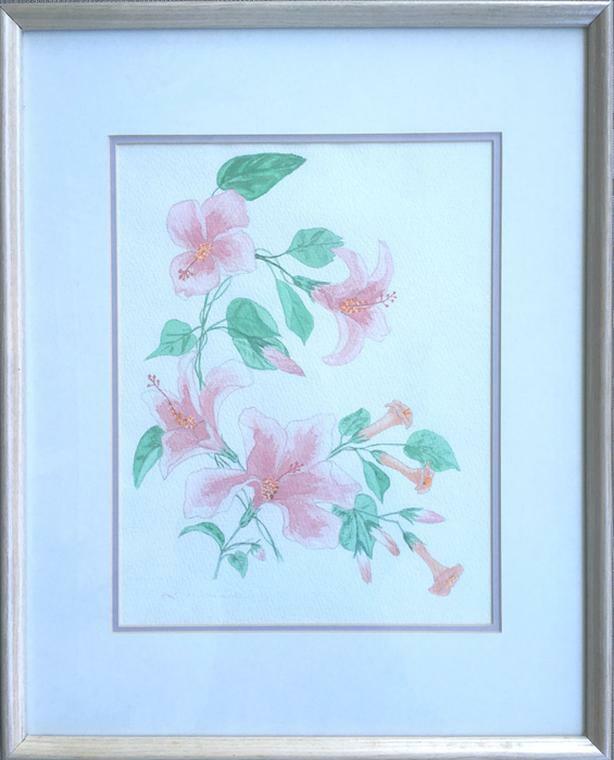 Beautiful Watercolor of Flowers with Double Matting, Light Colored Wood Frame and Under Glass. Framed Size: 20" x 16". Mint Condition from non-smoking home.